Hutton oxford two-tone toe cap. Elegant oxford shoe featuring a two tone premium quality leather upper that has been lovingly hand burnished. Stag logo debossed to heel tab. Stag logo printed canvas lining with leather collar lining and leather sock embossed in gold foil with full GS logos. TPR heel and forepart detailed with GS logos and colour matched leather waist and heel stack. Available in Brown/Tan & Black/Bordo. Normally buy more expensive shoes, such as Barkers, but they take some wearing in !! 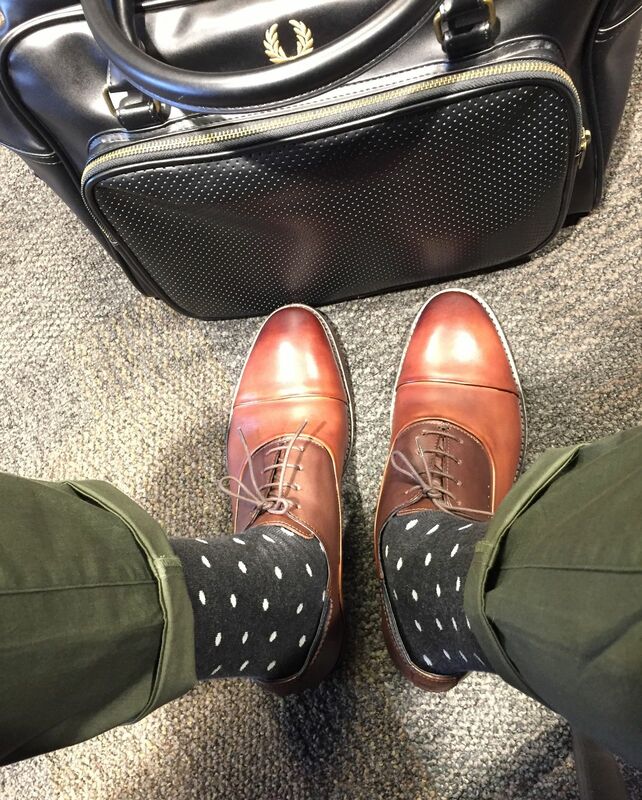 Found the Goodwin smith shoes immediately more comfortable and much better for everyday wear at a quarter of the price !! I love these shoes, I am normally a size 8UK but they arrived and were slightly too big, however I returned them and got the 7 which I was a bit worried about as I have never had 7 shoes. They were very snug but after applying a decent leather cream and heating them up on the radiator for an hour I walked around the house in them for a few hours with 2 pairs of socks and they are nicely wearing in. Quality and design is great and would recommend them. Remember leather gives slightly so I would rather too tight than too loose on first wear. It maybe worth putting on the website a few hints and tips about breaking in new shoes for those who don't know about leather products. Easy on the eyes and on the feet. 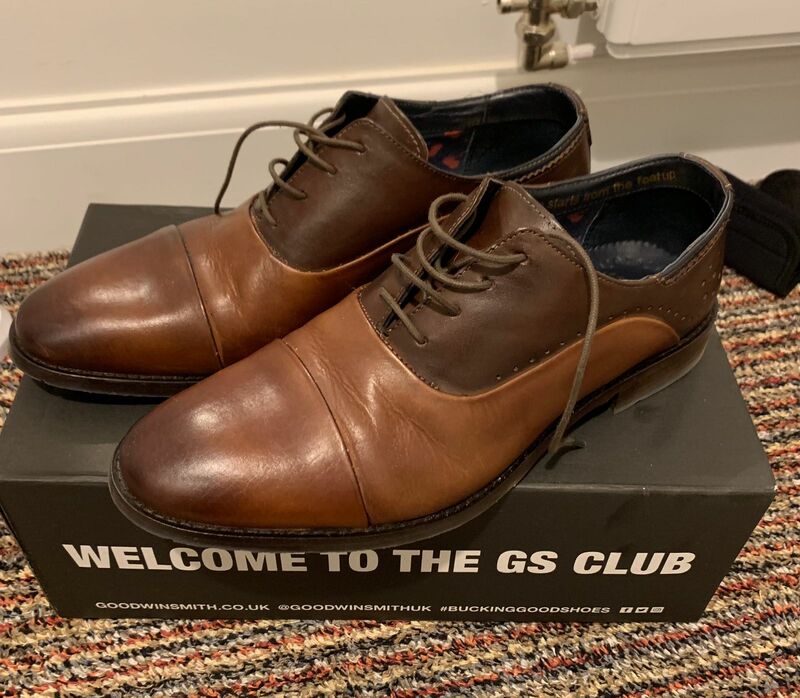 Third Goodwin Smith purchase to date and the collection will surely continue to grow; quality shoes, style and service. Thanks guys!